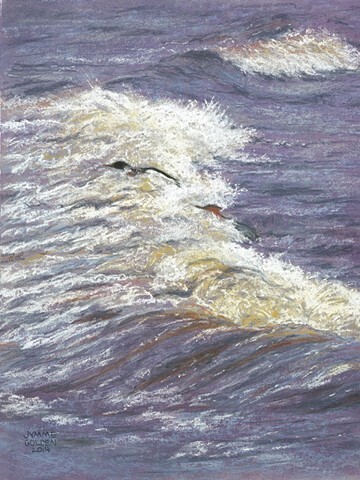 I saw this pair of mergansers swim from the quiet waters of the French River into the surf of Lake Superior. It was fascinating just watching them and it looked like so much fun. Clearly they were in their element.